Our canopy adventure is so much more than a simple zipline tour! Situated in Memphis' Shelby Farms Park, our treetop zipline course is a fully immersive outdoor experience. Our canopy adventure is so much more than a simple zipline tour! 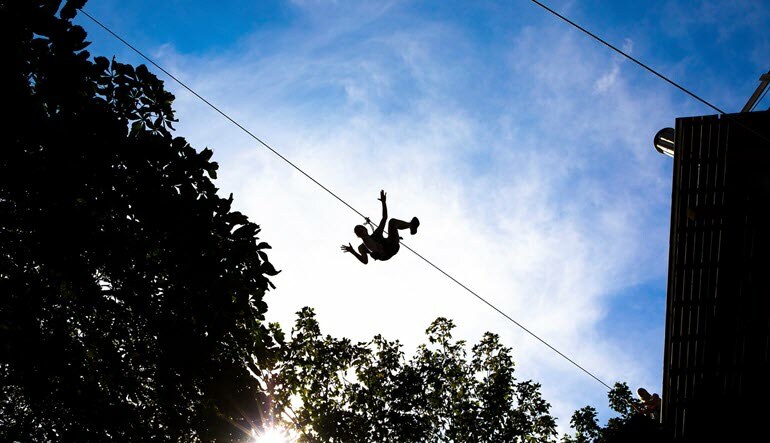 Situated in Memphis' Shelby Farms Park, our treetop zipline course is a fully immersive outdoor experience. Challenge yourself to reach higher as you traverse 41 unique crossings, the Tibetan Bridge, the Flying Carpet, 2 Tarzan swings, and soar treetop to treetop on 6 exciting ziplines. Explore the forest and discover Shelby Farms Park in one of the most thrilling ways possible. The treetop platforms offer some of the most picturesque views of the nature found in Memphis. Take a deep breath and soar over Pine Lake before launching yourself into the next obstacle! 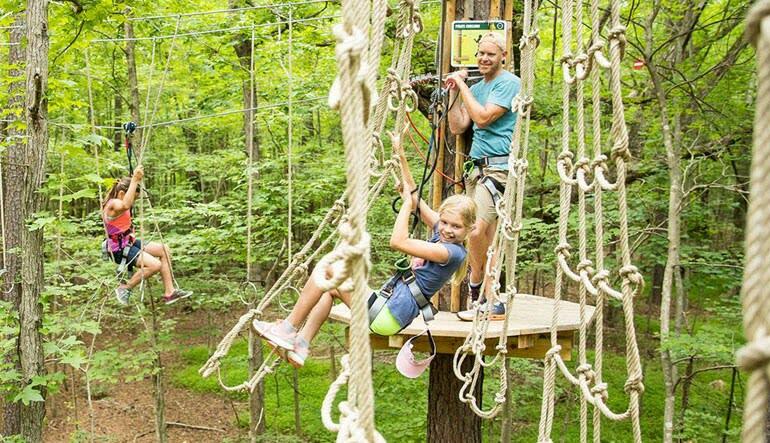 Take a 2 to 3 hour zipline and canopy tour in Memphis' Shelby Farms Park! Begin with a safety instruction and harness up for the big adventure. Traverse 41 unique tree-level crossings! Feel the rush of 6 daring ziplines! Yell like Tarzan as you swing from one platform to the next! Practice your balance on suspended bridges! 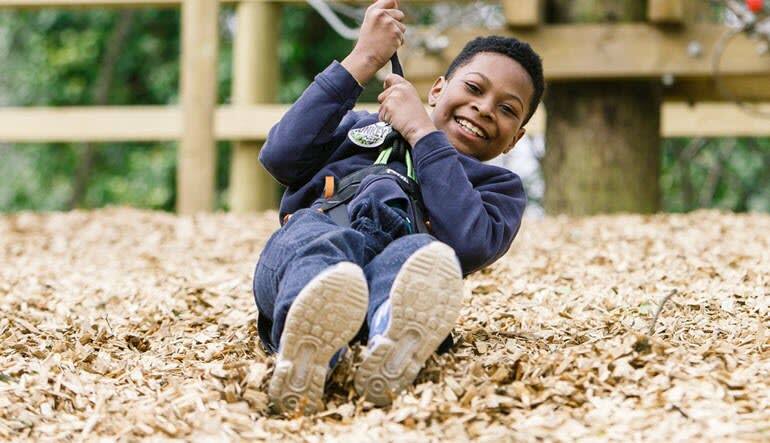 Beautifully designed, this zipline and canopy course offers hours of fun for friends and family alike. Book now and make your way out there this weekend!